Our mission is to help visiting and local runners of all levels and abilities to discover Cagliari, with the limitless possibilities of a running tour, passing by parks, pedestrian streets, stairs and beaches. Cagliari running tours operates with professional Sardinian regional guides managing to put together the passion for tourism and running. Our activity is designed for those who like to discover Cagliari and do not want to skip their runs on vacation or business trips. Combining a visit to the city with jogging in the company of a Local running guide for a quick and original way to discover Cagliari. In case you are interested in a particular monument or museum, the running activity can strat or end with a guided visit: it is up to you to decide, since everything is taylor made especially for you! 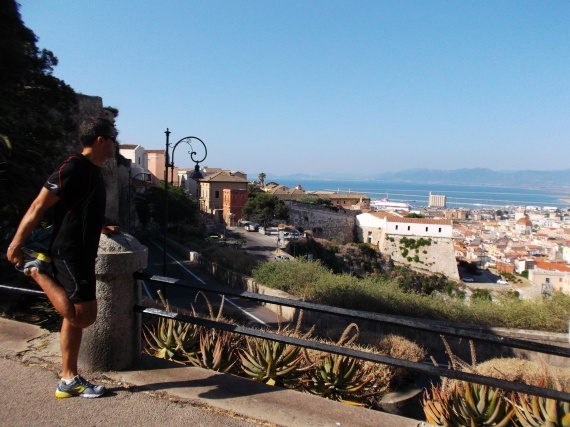 In any case, we offer several running tours, showing you the most attractive areas of Cagliari. The running guide speaks Italian, Portuguese, French or English - you just have to choose your language!